This eco-region comprises the coastal waters of the US state of California from the southern border, north to San Francisco.The California Current is a major influence on the climate of western North America and on the productivity of both terrestrial and marine ecosystems along the West Coast. This cool offshore current flows southward along the west coast of North America, its main influence extending from the Columbia River to central Baja California.It remains offshore for most of the year except for the month of September when the flow is quite close to the coast. The prevailing northwesterly winds help to generate a seasonal upwelling from February to September, and this contributes greatly to the high rates of productivity seen in the region. The rate and volume of upwelling is greater than anywhere else along the west coast of North America. Water temperatures are fairly constant throughout the year. Average surface water temperatures are surprisingly cool ranging between 9C and 11C in winter and 13C – 15C in summer, although the more southerly parts of the region can reach a high of 22C at depth in summer. Despite the latitude, this is not an area where 3mm wet suits can be comfortably worn. 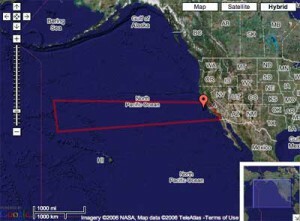 Like all upwelling zones, the area off the coast of California supports huge marine mammal, seabird, and fish populations. The area is best known, however, for the extensive kelp forests and for the southern sea otters (Enhydra lutris), which wrap themselves in kelp to keep from floating away while they feed on oysters and sea urchins. 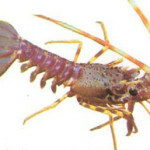 There is also some endemism in invertebrates and fishes. There are a multitude of environmental threats to the region, including coastal water pollution, especially around major cities, leading to potentially contaminated seafood region. The intense harvesting of abalone leads to loss of habitat and food for sea otters. Non-biodegradable plastics represent a particular problem as they trap or maim animals and may cause death by drowning of strangulation. There is enormous variety in dive sites in the United States and the unexpectedly cool waters off the California coast, with its spectacular kelp forests, only adds to that variety. The waters around California’s Channel Islands are generally cool and clear and are filled with a large variety and quantity of marine fauna. The Channel Islands consist of the Northern and Southern Channel Islands. The Northern Islands are made up, in an east to west chain, of Anacapa, Santa Cruz, Santa Rosa and San Miguel Islands. This chain of islands is ruggedly spectacular. The Southern group is made up of, in order of size from smallest to largest, Santa Barbara, San Nicolas, San Clemente and Santa Catalina Islands. Catalina Island is the only island with a substantial permanent population. Hard corals are rare in cooler waters, but the Channel Islands are also host to the rare purple hydrocoral (Allopora callifornica), one of the few coral species that can survive in these waters. Important species to be found in the region are typical of the California Current and include the southern sea otter (Enhydra lutris), northern elephant seal (Mirounga angustirostris), California sea lion (Zalophus californianus), northern fur seal (Callorhinus ursinus), Guadalupe fur seal (Arctocephalus townsendii), Steller¬πs sea lion (Eumetopias jubatus), grey whale (Eschrichtius robustus), harbor seal (Phoca vitulina), pilot whale (Globicephala maerorynchus), killer whale (Orcinus orca), Pacific salmon (Oncorhynchus spp. ), yellowfin tuna (Thunnus albacares), yellowfin sole (Limanda aspera), Pacific cod (Gadus macrocephalus), giant kelp (Macrocystis pyrifera), burrowing starlet sea anemone (Nematostella vectensis).